The Panda Replacement Cartridge for the Panda Pod Mod Kit provides more air which means thicker, tastier clouds. Why ruin your Panda Kit with incompatible cartridges that will only give you small, unfulfilling puffs instead of the large, fragrant clouds you've come accustomed to? Stay with the company that you know works and get your magnanimous clouds from the Panda Replacement Cartridge. The makers have accomplished this feat through their vertical juice injection system that lets you fill it with salt nicotine and regular e juices. The Bottom Feeding feature assists in this versatile and genius compatibly for various e liquids. Whether you want the convenience and slimmer 2ml pod or the more hefty and filling capacity of the 5ml pod, the choice is yours. The makers of the Panda Replacement Cartridge give you the luxury of versatility, convenience, and capacity. Either pod will pair perfectly with your Panda Kit, which we know has been providing you with immensely hazy pleasure. Enjoy the plentiful amounts of juice you can refill with the vertical injection system of the convenient and adaptable Panda Replacement Cartridge. 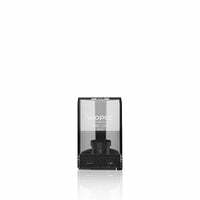 Panda Replacement Cartridge - VooPoo has a rating of 5.0 stars based on 1 reviews.